Real estate bill set to ease home-buying process | Nagpal Builders (India) Pvt Ltd. The recently passed Real Estate (Regulation & Development) Bill, 2016, in the Rajya Sabha and the Lok Sabha, is set to ease the home-buying process. The bill has undergone several amendments and will be effective in bringing transparency and accountability in the real estate sector, thus increasing consumer confidence and benefiting the sector as a whole. The bill sets a firm foothold in the real estate sector and would be a foundation for this sector for many years to come. With the changing skylines in many cities, it takes within its ambit many factors, including development and redevelopment, thus paving the way for a smooth road ahead. It will impact the sector, positively at two levels—first at the micro level of home-buyers, and second at a macro level of the entire real estate sector. The bill aims to make the sector transparent, give home buyers the advantage and, in turn, lift the market. 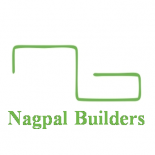 This entry was posted on March 29, 2016 by Nagpal Builders (India) Pvt. Ltd. in Nagpal Builders, One acre Farmhouse / Country Homes in Delhi, Real Estate Bill 2016, Uncategorized.